You can download an editable version of the below schedule HERE if you like. See how I use my schedule HERE. 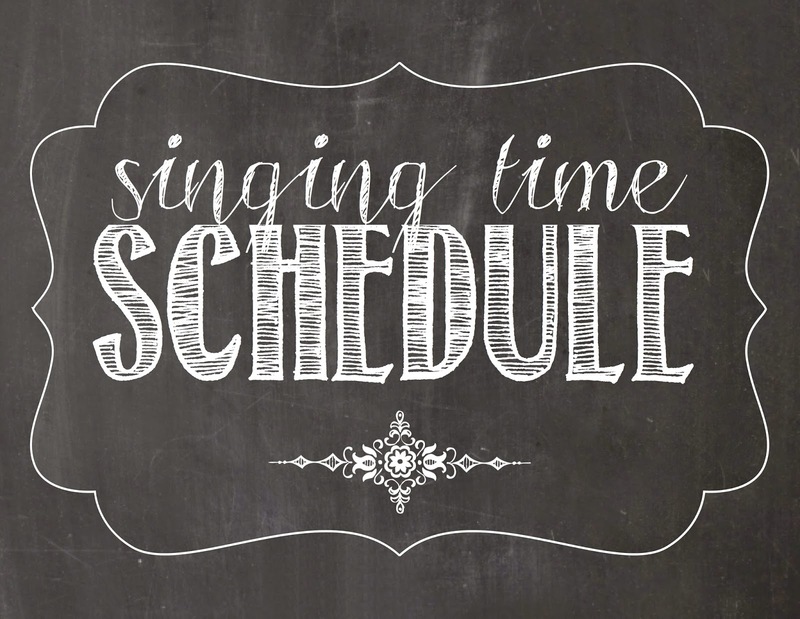 Activity: Find my Easter singing time activity HERE**. We are singing I Know That My Savior Loves Me (which is why I've chosen it as our opening song) and Hosanna using the handbells (find that lesson plan HERE) in Sacrament this Sunday for Easter. I'll do the Hosanna with the bells after we finish the Easter activity, which I may move along quickly and not sing all the suggested songs. **If you've already celebrated Easter, I'd consider starting on The Church of Jesus Christ with my activity I have below. Included in that post are 2 variations of the lesson plan that could be used for 2 weeks. Activity: Find my lesson plan HERE. Activity: Review activity. Considering using Susan Fitch's spinning wheel found HERE (you can get to her Etsy shop by using her link over on the right side of her website. You can get 20% off the kit if you purchase it before the end March. See more information HERE.). Maybe with a twist - use an office chair that spins...we'll see so stay tuned!